A conversation between Teach For Vietnam & Blogger/ Book Author Rosie Nguyễn on efforts needed to reach the skill gap in Việt Nam. What is the kind of change can we bring to the students? Join us if you want to be a part of the solution. 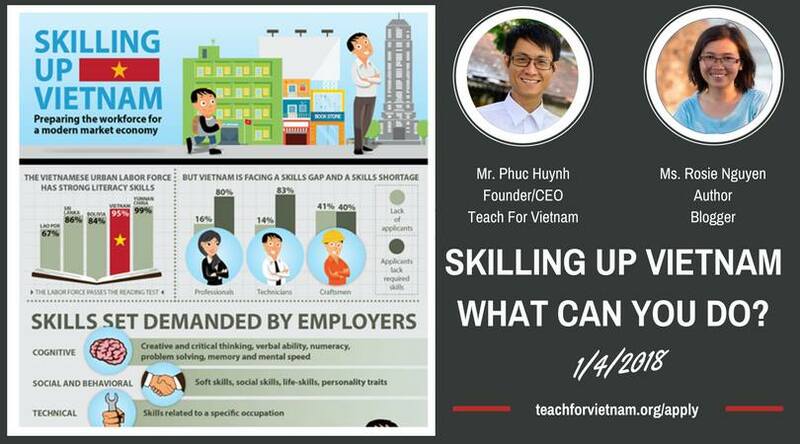 Event also includes rewarding for #SkillingUpVietnam Challenge by Teach For Vietnam, Fellowship discussion. Let’s chat and bring home secret gifts with lovely signed books! * This event is only for a limited number of participants, we will select participants based on your registration and confirm your slot in advance.